Here's the latest slots game from Microgaming the fun packed Bar Bar Black Sheep you will be Baahhhing crazy with bonuses galore. Make a deposit and play UK slots today! If you eat, sleep and breathe gaming, Microgaming might have just the content for you. Developed by gamers, for gamers Microgaming was the first true online casino of its kind back in 1994. Now with over 850 games featuring a mix of original content and collaborative pieces Microgaming have moulded the industry with its genre-defining content – titles such as Hot as Hades, Dragonz and Jurassic Park have resulted in Microgaming maintaining their position at the top of the video casino food chains and being one of our favourites here at Wizardslots online casino. BAR Black Sheep have you any coins? Yes? How about 3 bags full? See our list of best games to find out more. 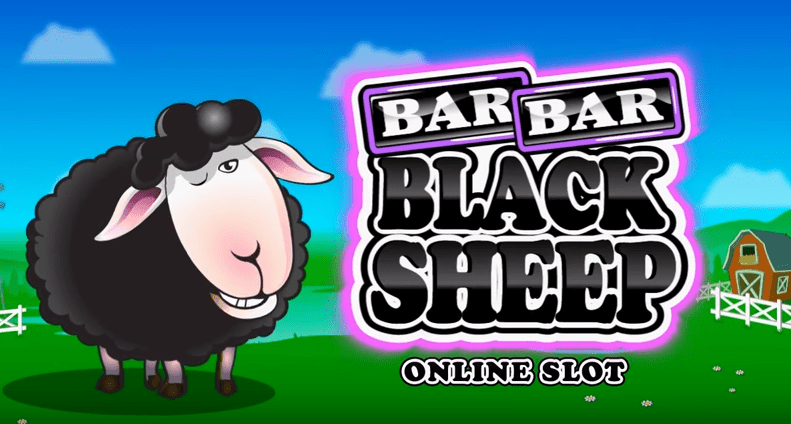 Jack and Jill along with Georgie Porgie have solidified the Nursery Rhyme adapted games for Microgaming, and this latest edition takes another childhood classic - Bar Black Sheep to an entirely new level. With 3 reels full, and 15 fixed paylines this machine has an amazing number of prizes to be won. With the maximum jackpot amounting to 999x the initial wager thanks to the special multiplier. Each coin’s value can be set anywhere from £0.20 to £5.00 and with a maximum of 3 coins per spin maximum bets are set at £15.00 making this game perfect for casual players. Colourful and well designed, players should expect to find symbols such as white sheep, black sheep, and the iconic bags of wool along with 3 different level BAR symbols. Each symbol is highly rendered making BAR Black Sheep the perfect game for mobile players. The gaming pay-table is displayed prominently and will provide players with a constant reminder of how much each symbol combination can earn. The first of two bonus features within the game from landing 3 Bags of Wool from one spin. This symbol acts as the games Scatter and will award players with Free Spins. The next bonus is the Wild, in the form of the Bar Bar Black Sheep himself, this can be used as a substitute for any other symbol to help provide players with a winning payline. Additional to this any winning combination containing a black sheep will obtain an amazing x3 multiplier. The black sheep will only appear in the 3rd reel but when connected to “Single Bar” symbols the winning amount can be astounding – Single Bar, Single Bar, Black Sheep can earn players a random multiplier of up to x999 the line bet – adding to any players 3 bags full.